In our efforts to provide you with the best possible service, All Blessings International desires to provide our families with adoption resources, including adoption financing options, adoption support, and adoption preparation resources. We feel strongly that the more information you have on adoption, the more prepared you will be in your adoption journey. Below you will find a list of external links which may be beneficial for your family as you research your adoption process further. ABI does not share an affiliation with these organizations, and we do not “refer” families to these resources, but the resources listed have been utilized by ABI clients and found to be beneficial to those clients. We will add to this list as we find more sites that we feel can benefit you. Adoption Finance Coach – Assistance with grant seeking, fundraising, and financing your adoption. International Adoption Training Program – Hague compliant training and education specifically geared towards international adoption. and we have the answers. The #1 barrier to a child having a loving and permanent family, is money. Adoption financing can be expensive – at All Blessings International, we are committed to helping answer all of your money questions through the innovative service, The Adoption Finance Coaching System. Our team of adoption financing coaches will help you create a comprehensive financial plan that matches your adoption plan. We know financial hardship can deter the best of families… but don’t give up! Our team at ABI, along with our experienced adoption finance coaches are here to help you. We believe this unique service is vital in keeping families financially stable throughout the adoption process. We don’t want our families to be concerned about how to create a financial plan for their adoption – with the Adoption Finance Coaching services — you don’t have to go through this alone! For families who have already completed registration for the Adoption Finance Coaching System, please access the Adoption Finance Coaching System portal here: http://allblessings.adoptionfinancecoaching.com/. We were overwhelmed by the details and intimidated to ask friends and family to financially assist us, but they showed us how to pull it all together and raise funds with grace. Doors opened to fund raising possibilities that we did not know existed. 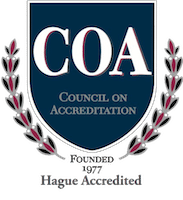 We are incredibly excited to announce that on February 29, 2008, we received Hague Accreditation through the Council on Accreditation (COA). This accreditation will allow us to continue our mission of Finding Families for All of God’s Children. Found within the Preliminary Information Booklet. This will again be provided to clients with the Agency Business Agreement. It is also available online. The Hague Convention on International Adoption Complaint Registry can be found on the Department of States website. Is the agency Hague Accredited or pursuing Hague Accreditation? Is the agency licensed and non-profit? What is the agency’s general reputation? Is the agency willing to sign an agreement with us attesting to their compliance with Hague standards? Is the agency a member of JCICS and/or other professional organizations? How many years has the agency been in business? We will also be requiring that any agency we utilize as a Supervised Provider or an Exempt Provider be licensed, non-profit and carry professional liability insurance. According to the Hague regulations, we are obligated to disclose to you any foreign supervised providers that we use and that will in turn work with directly or indirectly when adopting from a country that is a part of the Hague Treaty on Intercountry Adoption. ABI works with the following countries that are considered part of the Hague: Hong Kong and El Salvador. In El Salvador, ABI works with various licensed attorneys and licensed orphanages for the provision of adoption services. Referrals are made and approved by OPA, the El Salvador government office for Adoptions. Additional specific information is available once a family has submitted a Preliminary Application and been approved.  The specific identities of ABI foreign supervise providers will only be provided to the general public should the person inquiring have a reasonable rationale for requesting this information, as determined by the Executive Director. Families are required to sign a Waiver of Liability and a Business Agreement when starting to work with ABI. At the time of referral acceptance families must sign a Statement of Acceptance and Responsibility. Samples of all of these documents are available at the top of this page. The samples are substantially like the documents you will be required to sign. Hard copies of each of these samples are available upon request. It is impossible for ABI to predict the number of children eligible for adoption in either the US or foreign countries. There are various estimates on the number of orphans in the world, many of whom are not necessarily eligible for adoption. There are an unfathomable number of children for whom adoption would present an opportunity for a loving and nurturing family. It is possible to look on the State Department website to explore the number of children issued an adoption related immigrant visa to enter the US on a year-by-year basis. Upon request, ABI will disclose the current number of waiting children we are aware of as being eligible for adoption through our agency for each country where we work. In keeping with the Lord’s calling to serve the least of these throughout the world, ABI’s mission team division, His Hands His Feet, coordinates mission trips and outreach endeavors to several countries. Missions and Outreach Coordinator, Jenni Ramsey, is based in Texas and has a wealth of experience in missions. Those interested in serving on a team must have a desire for sacrifice and must complete a Missions Team Application and Interview. His Hands His Feet will assist with fundraising and encouragement as team members move forward toward this amazing opportunity to be a part of serving God through serving His people. Missions teams participants will have the opportunity to change the world in a small way and their own lives forever. To learn more about how you can become involved, email Jenni or visit the His Hands His Feet website. All Blessings International, Inc., is strongly committed to the privacy of our web site visitors. 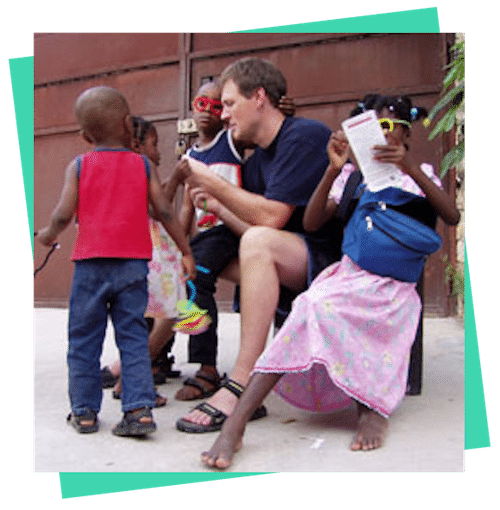 The purpose of this site is to provide you with education and information regarding adoption services and humanitarian/mission-focused opportunities through our agency. This site is the sole property of All Blessings International, Inc. Any use or reproduction of any part of our site requires written permission from ABI and is considered an unauthorized copyright infringement if you do not have our permission in writing.